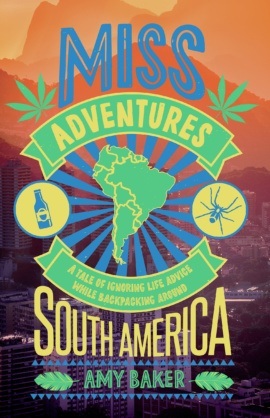 Having announced her plans to quit her job and backpack around South America, humourist and gonzo journalist Amy Baker found herself on the receiving end of a whole bunch of over-the-top and seemingly unnecessary advice. Amy shrugged it all off of course… that is, until she ran into trouble. After falling into a crevasse, swimming in crocodile-infested waters, dodging cocaine con artists and encountering handsome soothsayers, Amy soon starts to wonder if her Mum, boss and Carol from reception really were onto something. Weighing up their advice against that of known ‘Clever People’ like Tina Fey, Salvador Dalí and Mother Teresa, Amy finally establishes once and for all who it might actually pay to listen to. Amy Baker is a freelance journalist, blogger, and copywriter. She is an experienced travel writer and has written for The Huffington Post, STA Travel, Easyjet Traveller, and TNT Magazine.